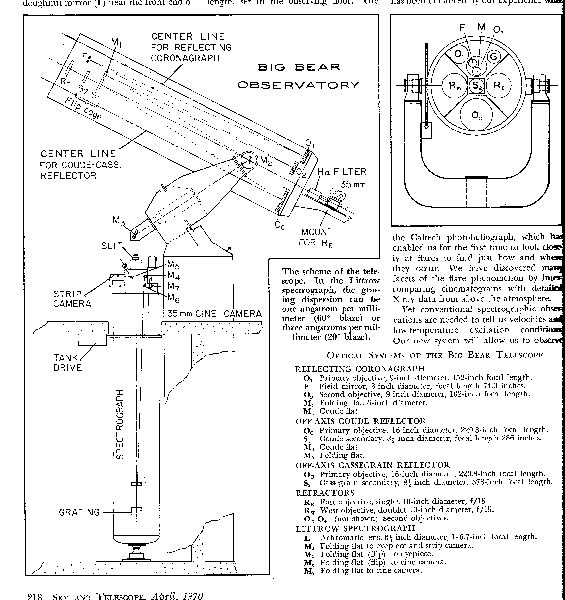 Perspective drawing of the new BBSO telescope. The light path through the telescope is shown in light gray. Original 1970 BBBSO telescope. 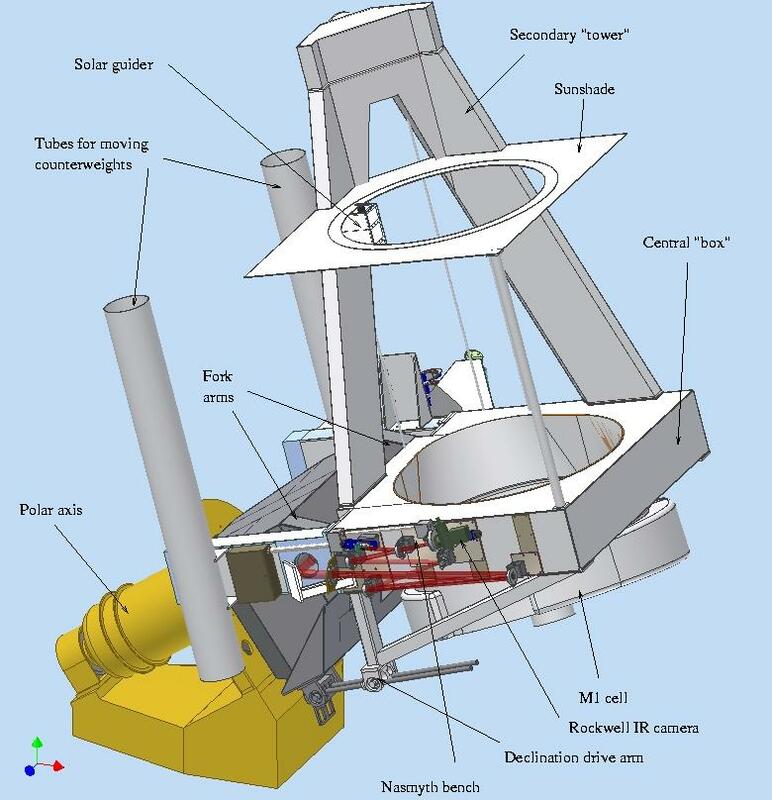 The BBSO NST (New Solar Telescope) replaces the old telescope assembly (65-cm vacuum telescope, 25-cm vacuum telescope, 20-cm full-disk telescope) at BBSO. A detailed drawing of the east side of the NST, showing the Nasmyth focus bench. The declination drive arm is also seen. A detailed drawing of the west side of the NST, showing the optical path near the M3 mirror and the location of the polarization calibration optics. Secondary figured to 20 nm accuracy and has protected silver coating. Multiple focus locations that serve a variety of focal-plane instrumentation. 3 arcmin FOV in Gregory-Coudé focus. 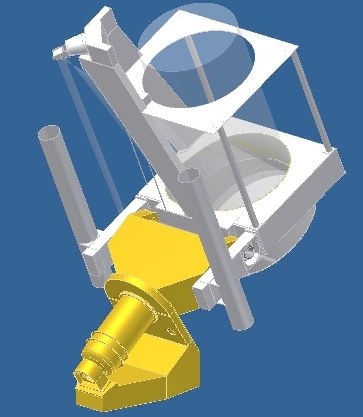 Telescope optics (M1, M2) made of Zerodur. 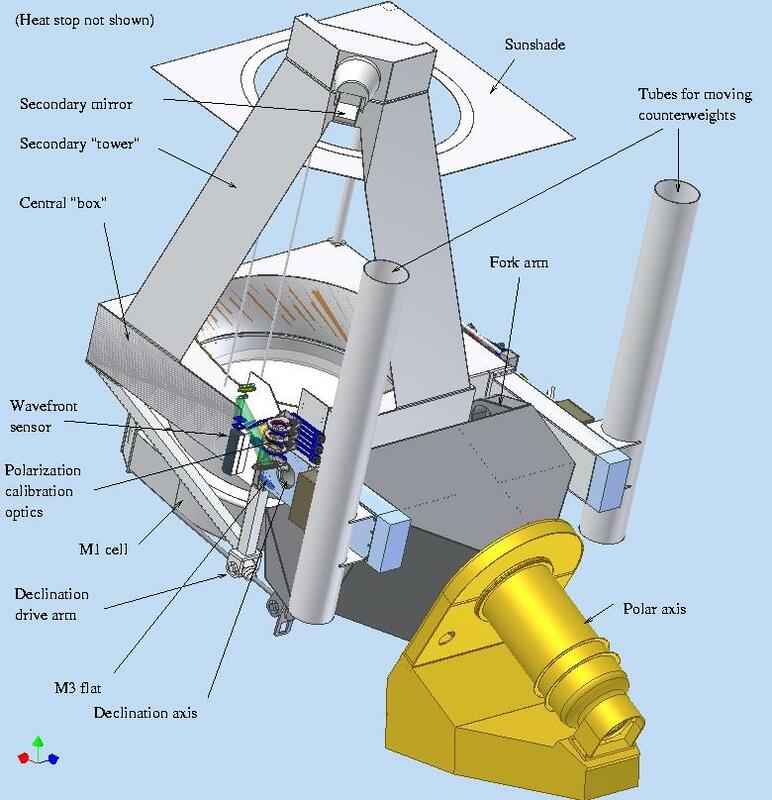 A Powerpoint presentation on the new BBSO telescope (> 35 MB) from March 2008 can be found here. © BBSO/NJIT - Last modified: April 7, 2008.